I expect that I'm not the only person in the north-eastern US who has been watching, and listening to, and checking out online the weather forecasts over the last few days. 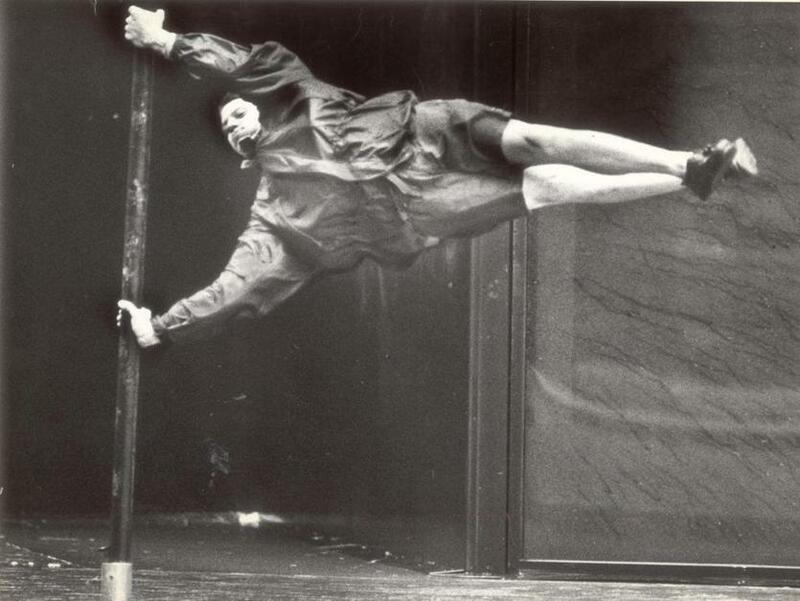 As Hurricane Irene approaches of course I want to know how bad the winds will be. What can we expect? 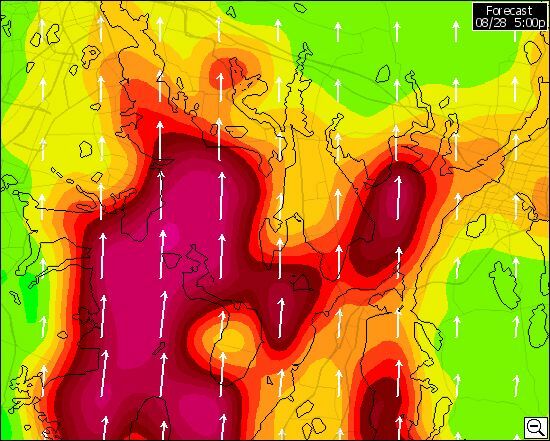 It was only when I started looking at the various wind forecasts available on SailFlow that I realized something that I suppose I already knew from sailing. All weather is local. There is more wind on one side of the course. There is a dead patch in the lee of that headland. Etc. Etc. And if SailFlow is to believed, this is just as true in a hurricane. What winds you are actually going to experience in any given location - your home, your boat anchorage - are highly dependent on the immediate geography, the shape of the land, the height of the hills near that location. 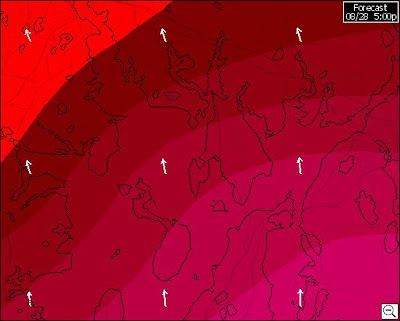 So what does it mean when I look at the National Weather Service forecast for Narragansett Bay and it says ".sun...se winds 45 to 55 kt...becoming s 50 to 60 kt in the afternoon. gusts up to 80 kt." Gusts up to 80 knots? But where? Everywhere on the bay and its surrounding coasts? I think not. Why does the grid resolution of the model matter? The coastal zone is where computer weather models perform the worst. The primary reason for this is the complexities between water and land temperatures as well as friction and topography. When choosing a model to try to predict the weather in this area it is important to use one that can actually "see" the body of water that your going to be on. Let's look at some examples for Sunday's forecast based on models of different resolution. You can see one of my favorite sailing spots, Bristol Harbor, in the center of the chart, Mount Hope Bay and Sakonnet River on the right, and Narragansett Bay and Providence River on the left. I live on the eastern shore of Mount Hope Bay. But what if we use a model with a much higher resolution for the same times, the WRAMS model which has a resolution of 2k? Whereas the higher resolution WRAMS model shows similarly strong winds in the middle of the bays, but significantly lower wind speeds over the land and on the sides of the bays in the lee of the land. (Of course, this is obvious to any sailor.) 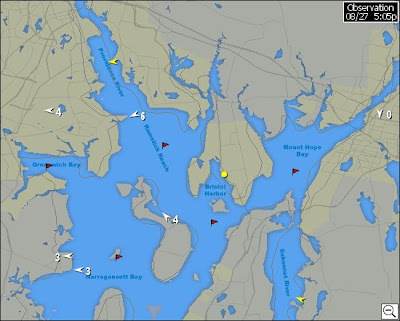 Most importantly for me, it shows the winds on the eastern shore of Mount Hope Bay as never more than 20 knots or so. NWS says gusts up to 80 knots. The NAM model says 40+ knots all over this area. The WRAMS model says no more than about 20 knots near my house. Who to believe? I know which model I want to believe! More background on these models and why they differ on the SailFlow website. Hmmmm. That helps a lot! It is currently looking likely that Hurricane Irene will make landfall in Southern New England on Sunday night while still a Category 1 or 2 Hurricane. I have no experience as to what to expect. 20 years ago this week, Hurricane Bob hit this area. This photo was taken in Boston. I guess we do need to batten down the hatches. Whatever that means. When I started this blog over six years ago I didn't give much thought as to what to call it. I picked on Proper Course partly because I had been following a (now defunct) blog called Stay of Execution. I liked that phrase "Stay of Execution" because it had multiple meanings: a technical term in the author's professional work at the time (bankruptcy lawyer), a reference to her real first name Scheherazade (One Thousand and One Nights - get it? ), and probably also a vague reference to other stuff going on in her life at the time. Proper Course has a very precise meaning too in the world of sailboat racing (even if most racing sailors don't really understand exactly what it is and when it's relevant) and of course has an every day meaning too. So that was the title I chose and now I'm stuck with it. And talking of the similarity between writing blog posts and writing popular songs (as we were) I could also draw a parallel between how little thought goes into choosing titles for blogs and how little thought many performing artists and groups give to choosing their stage names before they too, sooner than they think, are stuck with those names for the rest of their lives. So Proper Course it was. And then I noticed over the years that several other bloggers decided to name their blogs using short phrases from the world of sailing that were also somewhat ambiguous. We have Apparent Wind a blog that surely deserves a much better title than something that implies its content is nothing more than exhaled air. There is Center of Effort, a title that really does reflect the hard work that the author puts into her job as a sailing coach and instructor, and into her blog posts. Also in this genre is Favored End, a blog I really enjoy reading, but there are such long gaps between posts that I really do keep thinking it has come to an end, favored or otherwise. 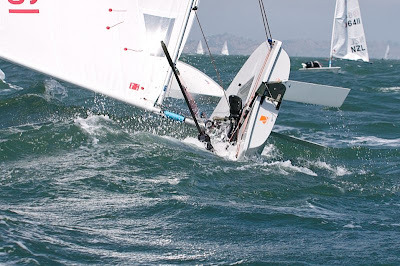 And only last week we have a new sailing blog by a recent college graduate who promises to write about "everything from Match Racing and Team Racing to Big Boats, Finns, Lasers, the Olympics, and your good old Friday night beer can racing series at the local club." It's called Starbord Tack, a spelling which I assume is a deliberate mistake. Any others I am missing? When you start writing a blog you are always looking out for topics to write about on the blog. Sometimes you might even do something or travel somewhere partly because you know that will provide opportunities for topics to blog about. Even a bad day's sailing or a bad run can be exploited to provide a subject for a blog post. It's a little weird once you realize that you are observing your own life and the actions of others with the eyes of a blogger. It feels a little improper sometimes. I can across a section in a book I was reading this week where the author expressed a very similar sentiment. Except he's not a blogger. He is an observer of life in pursuit of quite a different profession. Can anyone guess what profession that is and who might have written these words (without using The Google - that would be too easy.) The words in italics are changed by me to obscure the real topic of this piece. The radar is on whether you know it or not. You cannot switch it off. You hear this piece of conversation from across the room.... That’s a blog post. It just flows in. And also the other thing about being a blogger, when you realize you are one, is that to provide ammo, you start to become an observer, you start to distance yourself. You’re constantly on the alert. That faculty gets trained in you over the years, observing people, how they react to one another. Which, in a way, makes you weirdly distant. You shouldn’t really be doing it. 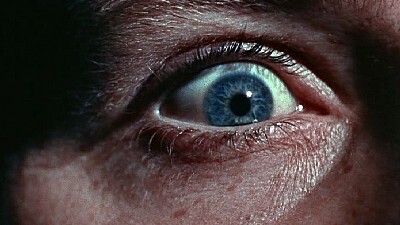 It’s a little of Peeping Tom to be a blogger. JP made me do it. Apparently this makes me a trend leader in the user generated content web 3.0 world. I spotted this video on Craig Russell's blog H2uhO - Bonehead Moves on the Water in a post titled Tillerman Would Be Proud. I don't know why I should be proud. I'm not sailing in the video. Is Craig sailing in the video? Should I be proud of him for sailing like that? I would be if he did. Or should I be proud of him for finding this video for our amusement? That too. A few weeks ago a group of us were having dinner together after a long, hard, windy day of Laser racing. Of course, the conversation turned to all of our aches and pains caused by aforementioned long day of windy Laser racing. 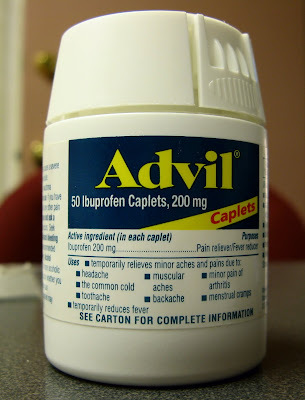 And, being a competitive bunch (as most Laser sailors are) each of us was vying to convince his buddies that his own aches and pains were much worse than theirs. You would think that out of respect for my age, my lack of hair, my obvious unfitness, and my dismal race performance that day, that my friends would concede the title of Sailor with Worst Aches and Pains to me. But not a bit of it. Some dude who would have won a certain national championship the previous weekend (if he hadn't been too macho to even bother to sail on the one light air day) was playing the "my aches are worse than yours" game as hard as he had raced his Laser all day. And then someone else dropped the bombshell. In an effort to eliminate me from the competition he said, "You can't complain. I know you're fit. I read your blog. You run half-marathons!" I spluttered in my beer. Why do people do that? I write about 300 posts a year about what a crap sailor I am and how unfit I am and about how clumsy I am, and maybe mention half-marathons a couple of times. Why do people label me as "superfit half-marathon runner" instead of "fat unfit old geezer Laser sailor"? I have no idea. So I corrected him. I have run a grand total of three half-marathons in my entire life. One was in 2007 (I think - my memory is almost as bad as my fitness these days) and two were in 2010. That's it. 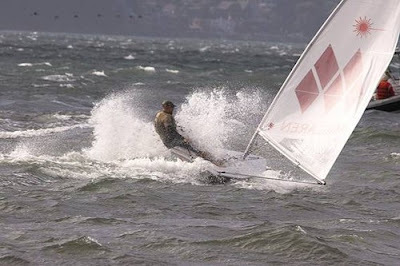 Does that mean I am any fitter for Laser sailing in the summer of 2011? I think not. It is true that I am sorta kinda in training to run some half marathons in the fall. But it's tough to do a lot of Laser sailing and fit in all that boring running as well, and in the last couple of months my running has taken second priority to my sailing. I did do a (very slow) 13 mile training run a few weeks ago, it is true. But when I tried to extend that with a 15 mile run yesterday, I found I could only manage 8 miles. It might have been the heat. It might have been that I hadn't done a lot of running in the intervening weeks. It might have been that I drank too much wine the night before (and a large margarita I seem to recall.) It might be that I'm getting old. It almost certainly means I'm not going to run a half-marathon race in a couple of weeks time as I had originally hoped. I am not a half-marathon runner. I dream of running half-marathons. It's not the same thing. Like I am not a fast Laser sailor. Except in my dreams. But I do ache a lot after a long, hard day of windy Laser racing. And I yield to nobody in believing that my aches and pains are worse than yours. Have some respect for age! 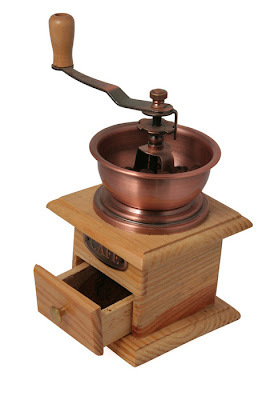 Regular readers of this blog will know that my enthusiasm for Laser sailing waxes and wanes. Sometimes I am full of passion for the sport; at other times I can't summon up the energy to go sailing at all. Why is this? Where does the passion come from? What kills it? In 2007, my move to Rhode Island inspired me to sail many of the local regattas, and all that practice helped me to achieve a long-standing ambition: Semi-respectable Mediocrity at the Laser Masters Worlds that fall. 2008 started with sailing trips to Cabarete and Australia and somewhere I hatched the crazy idea to see if I could sail my Laser 100 days in a year. That goal became such an end in itself that I kind of lost touch with the real reason why I sail. (Clue: 3 letter word beginning with F.) I persisted with my goal through the colder days of October and November, often sailing by myself on the local bays, but eventually had to admit defeat when the first big storms of winter arrived in December with only 94 days logged. Then I crashed. I almost gave up sailing in 2009. There could have been all sorts of reasons. That dogged persistence in pursuit of the 100 days in 2008 may have killed my passion. One bad day on the water may have turned me off racing. I'm not really sure. 2010 was weird. For some unknown reason I discovered a joy in frostbite racing in the dead of winter, January and February. The snow on the ground, the ice on the buoys, the pain in the fingers when the circulation dies... I decided I Love Winter. But I didn't sail many regattas that year at all and it showed when I went to the Masters Worlds in England and had a pretty disastrous week. That experience at the Worlds forced me to re-examine my whole attitude to sailing. Why am I doing this? Is it fun any more? Am I really fit enough to go out and sail a windy day of racing on the sea, and then do it again he next day, and the next day? Where's the passion? What's different? Why is the passion back? There are a number of contributing factors, but I think the most important is that I have learned to include a lot of variety in my sailing. Some major regattas where the best local sailors are competing. Some low key regattas where I actually have a chance to win a race or two if I'm lucky. Some club racing. Some group practice sessions. Some informal racing like on Tuesday nights. Some solo practice. Different venues. Different people. Different formats. Different levels of challenge. That seems to be the key for me to keep my interest alive. One of the first post I wrote in this blog was called Focus. It was all about how you have to concentrate on doing one thing really well if you want to succeed. This post was the first ever to attract a comment, and it was a critical one at that! 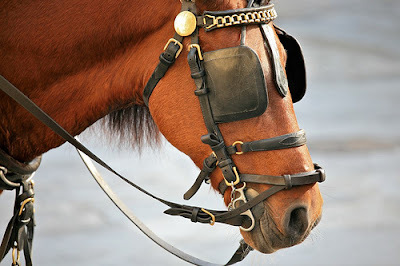 Someone wrote "horses focus with blinkers so can we, but i want to see the whole world." Maybe I've been wearing blinkers too much? I had a bit of fun in January last year fantasizing about how Larry Ellison's decision to buy one of the Newport mansions was driven by his desire to join the Newport Laser frostbite fleet. Of course everyone knew I was joking. We all know that Larry likes to sail, but nobody in their right mind would believe that some high-powered technology entrepreneur who is richer than Croesus would want to sail a Laser. Ha ha! Very funny Tillerman. So imagine my surprise earlier this week as I was perusing the reports of the 2011 Laser Masters Worlds currently being sailed in San Francisco to see the name Phillippe Kahn in the results. Phillippe Kahn? Surely not the Phillippe Kahn, founder of Starfish Software, LightSurf Technologies, Borland Software and Fullpower Technologies, the guy who created the first camera phone solution sharing pictures instantly on public networks, the Phillippe Kahn of Pegasus Racing, with many ocean racing accomplishments to his credit. Surely not? Why would some dude who can buy any boat in the world he wants and pay the top pros in the world to race for him, want to go and hack around the buoys in a Laser? Inconceivable! But apparently the Pillippe Kahn racing in the Laser Masters Worlds is the real Phillippe Kahn. 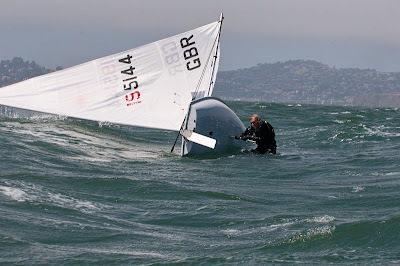 A report on the website for the Transpacific Yacht Club last month reported that "Philippe... is sailing Lasers every day off Diamond Head in prep for the Laser Masters Worlds on San Francisco Bay in August." But wait. Phillippe is currently placed second from last in the Standard Rig Grandmasters fleet! That's Tillerman territory. That's where I would be if I had been sailing this event. What a missed opportunity! I could be out in San Francisco crossing tacks with Phillippe Kahn and maybe having a couple of beers with him after racing. I might even have asked him to sponsor my blog. You never know. That report on the Transpacific Yacht Club site also credits Phillippe with saying, "I have to learn how to sail before I die." I guess that's why he is sailing a Laser now. Hats off to you Mr. Kahn! I wonder if he has a Mommy Boat? For those of you still puzzled as to why this post is headed up by a low resolution photo of a baby, that is the world's first camera-phone image taken by Philippe Kahn at the birth of his daughter Sophie on June 11, 1997 and wirelessly shared with more than 2000 people around the world instantly. My San Francisco blogging friends have been very quiet this week about the most important sailing event on San Francisco Bay this decade. I refer, of course, to the 2011 Heavy Weather Laser Slalom. This event is a classic of the Laser world, dating back to the early days of the Laser in the 70's. I posted a video of one of the first such events a while back. Wooden daggerboards and long hair and wet T-shirts and sails wrapped around the masts to reef them. Well, it was the 70's! The even isn't held every year, by any means. But it was decided to hold it again this year as a precursor to the Laser Masters Worlds, also hosted by St. Francis Yacht Club. The finest Masters sailors from around the world were there, along with a number of young guns including Olympic gold medalist Anna Tunnicliffe. It's a short course race between two boats at a time, tacking and gybing around lines of buoys set close together just in front of the yacht club. 25 knots gusting more. Big waves. Thrills and spills. About 30 entrants with a double elimination format. Lose two races and you're out. After two days of hectic action the winners emerged. And surprise, surprise the top four sailors all came from... New England. No wonder my San Francisco blogging friends have been quiet on the topic. The winner overall was Peter Shope, one of my sailing buddies from the Newport frostbite fleet and Tuesday night sailing in Bristol. More details at SailBlast and Kim Ferguson's Laser Master Worlds 2011 blog. Our Laser district secretary asked me why I'm not sailing in San Francisco this week with all of the other old farts. This picture of some British guy "sailing" at the Laser Masters Worlds in the "magnificent amphitheater of San Francisco Bay" this week has nothing to do with the reason I'm not there. Of course not. Update 12 August: Thanks to the anonymous commenter who identified the sailor in the picture as their father and who also pointed me to these two photos of the same incident. We completed four two-lap windward-leeward races with beats about 0.7 miles long... and that was enough for most of us. Even one of the fit young kids said to me before the last race that he wanted one more race and then to go home to bed! I must admit I am enjoying sailing in this kind of weather much more than I did a few years ago. There was a time when I was getting mentally tired (as well as physically tired) with all that slogging upwind again and again, and I have even been known to pack it in after three races as I did on the second day of BBR last year. But now I am really enjoying hiking hard and working the boat through the waves upwind and grinding down the opposition, and I certainly didn't want to go in early and miss any of the fun. Am I fitter than I used to be? Maybe. I've been sailing a lot lately and running in the hot weather more than I did last year. Is my technique any different? Perhaps. I think I've finally taken to heart the advice I got from Rulo at Cabarete a few years ago that I need to work my upper body more in waves upwind. Whatever the reason I am having a lot more fun sailing upwind in 15-20 knots than I ever used to. And I am able to hang in there all day with the kids. My results weren't all that fantastic, with finishes varying from 11th to 15th in a 25 boat fleet. But, hey, I think I was the oldest sailor out there so that means I was beating a bunch of sailors who were more than 40 years younger than me. Not too shabby. During the regatta, I met a couple of readers of my blog that I hadn't met before, Steve from New Jersey and Penn who mainly sails on Cape Cod. It's always very gratifying to meet readers in real life. After the racing on Saturday, Steve complained that I had been grinding past him in every race. I said that I hadn't realized that I had been doing that and that it was nothing personal. "That pisses me off even more," he laughed. Thanks Steve. You made my day! This weekend I sailed my Laser in the Buzzards Bay Regatta. The winds on Friday were light and shifty creating some tricky challenges for the race committee. One race was started and then abandoned after an hour when the wind died almost completely. Only one race was completed. In all, we were on the water about seven hours. There was much grumbling and complaining in some parts of the fleet. Some sailors even began to criticize the race committee which, of course, one should never do. But, having been brought up on a diet of Monty Python, I think it's important to always look on the bright side of life, which is why this post could also be titled Seven Reasons Why Friday at BBR 2011 Was the Most Awesome Day of Sailing Ever. 1. The long slow beat out to the course in light patchy wind took the best part of two hours, giving me a great opportunity to work on my light air beating skills. I measured my progress against another sailor who left the beach at the same time as me. One or other of us would find a little puff or a slight shift and pull ahead, and then that sailor would sail into a hole in the wind and the other guy would take the lead. What better way to tune up light air skills? Thank you BBR. 2. As we waited for the RC to decide that the wind was good enough to start racing I would occasionally sail by the committee boat and listen in to their conversation to see if I could figure out what their plans were. Best comment heard was when one of the committee came back from checking the wind speed at the bow of the boat and announced with delight, "We have 2 knots with a gust measured at 2.7!" Aaaah! A race officer with a sense of humor. I love that. Thank you BBR. 3. The abandoned race is a blur in my memory now. The mind does have a way of erasing painful memories, I am told. I do remember it was very light and very slow and I wasn't doing all that well in it. It was a good call to abandon. What a great race committee! Thank you BBR. 4. Waiting around for hours with no racing allowed me plenty of time to observe my fellow competitors. There were about 80 sailors in the Radial Fleet, almost entirely kids, and the 25 boat Standard Rig Fleet was mainly composed of teenagers too. I could hear their conversation drifting across the water... ".... and I was like.... and she was like... and my Mum was all like... and my Dad went... and she went... ohmigod, she was like..." Isn't it fascinating to listen to the evolution of the English language? Thank you BBR. 5. Of course, with all these kids there was a swarm of Mommy Boats buzzing around. Normally I would find this intensely annoying, but I was pleasantly surprised to observe some new Bad Mommy behaviors that I had not previously seen which gave me plenty of material for a new Mommy Boat rant on this blog some time soon. And don't even get me started about what I saw some real Mommies and Daddies doing on shore for their hulking teenage boy Laser sailors. The wussification of our sport is proceeding at an accelerating pace. I always like to get new ideas for blog posts. Thank you BBR. 6. Some people might say that the big shift that came through on the first beat of the only race we completed made the race unfair. It put everybody on the right of the course in the lead and flushed everybody on the left down the toilet. I was in the middle so I rounded the first mark mid-fleet which is no more than my meager talent deserves. Isn't that an important life lesson? No matter how smart you are and how hard you work, life's wind shifts have a way of shuffling the deck, punishing the virtuous and rewarding the unrighteous. Thank you BBR. 7. Ditto that big gob of weed that I caught on my rudder on the second beat that put me near the back of the fleet. We were in a hiking breeze by then and I haven't yet discovered the technique for clearing the rudder of weed while simultaneously hiking flat out. Was I downhearted? No! Once again I reflected on a valuable life lesson. Just when you are feeling happy about your middling progress in life, you will catch a stinking, heavy gob of weed and you will lose your job, the bank will foreclose on your house, and your wife will run off with your best friend. Sailing teaches you so much about real life. Thank you BBR. I could go on, but I think that's enough to convince you that Friday at BBR 2011 really was the most awesome day of sailing ever. Valid through 8/7/2011 9:15 PM local time. .this afternoon...s winds 15 to 20 kt with gusts up to 25 kt. seas 2 to 4 ft. showers. a slight chance of tstms. patchy fog. 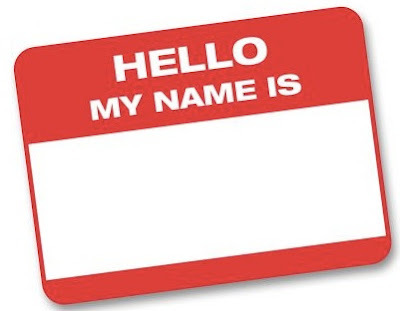 I used to be a real person with a real name. My parents chose my first name. My last name is the same as my father's. Life was conventional and simple. I can't remember why I chose the name Tillerman for my blogging pseudonym, or even why I chose to use a pseudonym at all. I guess I had some vague idea that my real identity would remain a secret to my readers, especially to my fellow sailors. How wrong I was. Of course, when I started writing the blog hardly anybody read it and many more people knew me by real name than as Tillerman. Slowly a few of my sailing friends discovered the blog and even more slowly a few of them worked out that I was also this Tillerman character who was writing that weird blog they had been reading. Now the process seems to be working in reverse. I think it's probably true by now that there are more people in the sailing world who are familiar with Tillerman's blog than who actually know the real me. So now it's not uncommon for me to be meeting complete strangers who already "know" me through my blog. Such was the case at the last two regattas I attended. 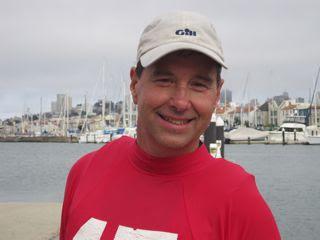 At the Lipton Cup Regatta a few weeks ago, one of the other sailors introduced me to the ringer who eventually won the last race and told him that I was that guy Tillerman who writes the blog. The ringer said he enjoyed the blog, especially the post about Seven Reasons to Hate Laser Sailors, and that he had been surprised to discover that I had actually written that one five years ago. I suppose he was saying that I used to write good stuff on this blog. I guess that was a back-handed compliment? Anyway, at the end of the evening my reader turned to his young friend and said, "You ought to check out his blog. He really is funny on his blog." I think he was trying to say that I'm not really such a boring old fart as I seemed to be at dinner. I guess it was a back-handed compliment? After the last race on Sunday (did I mention I finished fourth in that race?) I sailed back to the club alongside one of the young guys who was in the top three, one of the best sailors on the local circuit. I knew who he was but he didn't know me. We were chatting away about the regatta and eventually he asked me my name. Then I asked if his Dad was at the regatta (knowing that his father was a reader of this blog.) Then he made the connection. "Are you the Tillerman?" he asked. (Well actually no. I am not the Tillerman, just Tillerman. Sting is Sting, not the Sting.) But I didn't correct him, just answered in the affirmative. "Oh, my Dad is always asking about you," he said. I think he was trying to say that my blog is quite popular with older sailors. I guess it was a back-handed compliment? So that's me. I used to write good stuff. I'm funnier on the blog than I am in real life. Old people like my blog. What's your favorite back-handed compliment? Last weekend I sailed my Laser in the three day Hyannis Regatta. Friday's winds were from the south (i.e. onshore) and had stirred up some "interesting" crunchy waves that reminded me of the time I accidentally opened the washing machine door while it was in mid-cycle. Upwind it was a good hiking workout which repaid the effort to work the waves energetically (which I was generally too lazy or too unfit to do properly) and downwind you could pick up some great rides on the waves (unless, like me, you were generally too unskilled or too timid to do properly.) Actually in the first three races I spent the whole of the downwind legs muttering under my breath, "God, please don't let me capsize. God, please don't let me capsize," which is pretty pathetic for a supposed hard-core Laser blogger and confirmed atheist. I scored a 7th in that race, by far my best result of the day, and thankfully it was the last race of the day because I was knackered with all that torquing upwind and lawnmower starting downwind. That evening several (well at least two... well actually two) sailors came up to me and complimented me on how fast I was on that last run. I didn't reveal that it was all down to my training for the Lawn Mowing Olympics. I seem to remember that I didn't drink enough beer at dinner on Friday with the result that I woke up many times in the night because of the pains in my legs/ shoulders/ ankles/ arms and there was a lot of groaning and moaning so it was just as well as I wasn't sharing my hotel king bed with anyone else. Saturday's winds were from the north (i.e. offshore) so the water was flatter and the waves not as crunchy as Friday. I really don't want to talk about my mediocre sailing on Saturday. I started off with another top ten finish and then it all went bad. I seemed really slow like my boat was full of water and was dragging several pounds of seaweed on the foils, neither of which excuses turned out to be true so I had better invent some other excuses. Excuse #1: I am actually an amazingly fast sailor in under 3 knots or over 25 knots. It's only wind strengths in between these two extremes that are a problem. Excuse #2: I was tired after Friday. We were on the water about seven hours on Saturday, and completed seven more races. Even though I felt I had sailed terribly, when I looked at the results I had only gone down one place in the standings. Go figure! In the first race the pin end of the line was highly favored, so I decided that rather than fight for the pin with all the hotshots and then sail in the bad air of the aforementioned hotshots on starboard tack for several minutes, I would start nearer the boat in a position where I could tack on to port immediately and then sail fast in clear air and arrive at the windward mark with the leaders. This strategy turned out to be misguided when everyone flopped on to port at the gun and I was instantly at the back of the fleet. Duh! In the second race I had a decent start but still arrived at the windward mark with the tail-enders. Lesson of the day: if you are just slow in the 3-25 knot wind range you will always arrive at the windward mark with the tail-enders. I tried hard to pass boats on the run but I was still with the tailenders at the leeward mark. By some fluke, I did a good mark rounding and the two boats in front of me didn't so I was in clear air and soon blew past them. They tacked off to the left side of the course and a little later I tacked to cover them. Hmmm, taking into account the likely effect of the tide I was now close to the starboard tack layline to the finish, but there were still boats to the right of me (way overstood) and I was lifting above all the boats on the left. Pretty soon, it seemed like there were only three boats in front of me (actually the three kids who took the top three places in the regatta) and that was how I finished. Fourth! Best result of the regatta! What a way to finish the weekend! How many more exclamation marks can I use! That should have been a question mark! I don't care! Ridonculous! Seriously, even if it was luck, it felt good! 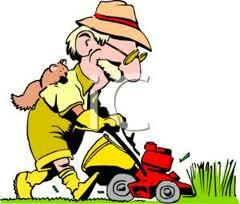 On Monday I mowed the lawn. Great cross-training. Seriously! I sailed a three day regatta this weekend. I really do want to blog about it. My mind is buzzing with all the stories I could tell you, the mistakes I made, the lessons I learned, the funny things that happened, the people I met. But I'm going to wait a while before I write anything because I've discovered something weird about blogging, or perhaps it's really something weird about how my mind works. If I wrote about a days' racing on that day my mind would be full of so many details that I would probably bore you with all the random stuff I would tell you and the post would be very confused with no real point. On the other hand, if I wait a day or two before writing a post about a regatta I find that I forget a lot of the irrelevant details (as if you cared whether I went right or left on the second beat of the eleventh race) and that only the most interesting (at least to me) things about the weekend stick in my memory and then I write about that stuff. It also makes it easier to construct each post with a main point or focus. You probably know someone who just prattles on about everything that happened to him or her that day, and then you know someone else who just tells you one or two interesting things when you meet them. In any case, I need to mow the lawn first.